Oxana Shevchenko and the Tinalley String Quartet bring gleaming warmth to Shostakovich's Piano Quintet. 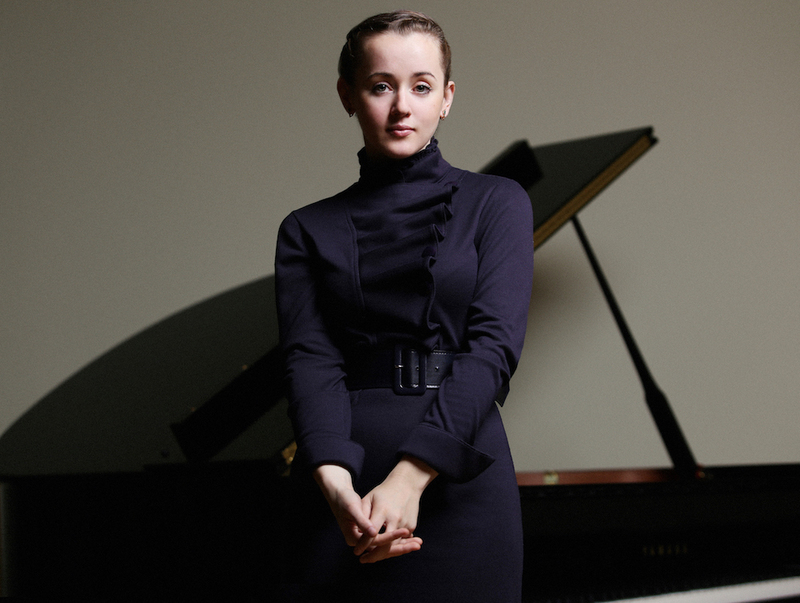 Oxana Shevchenko impressed audiences with her performances at the Sydney International Piano Competition in 2016, the Kazakh pianist reaching the final six and taking out the prize for Best Piano Quintet for her performance of César Franck’s F Minor Quintet. With a little over a year to go before the next Sydney International Piano Competition, Shevchenko returned to the Sydney Conservatorium of Music’s Verbrugghen Hall for an all-Russian recital culminating in a bewitching performance of Shostakovich’s Opus 57 Piano Quintet with the Tinalley String Quartet. The first half of the concert was Shevchenko’s alone, however, the pianist easing the audience into the program with Tchaikovsky’s Méditation from the Opus 72 pieces for solo piano. Shevchenko leaned into the lyricism of Tchaikovsky’s lush textures, maintaining incredible clarity – as she did throughout the recital – as she built the music’s impassioned climaxes and receded again to its delicate final notes. She brought a similar lyricism to Tchaikovsky’s Dumka – subtitled ‘Russian Rustic Scene’ – but garnished it with folk-music chirpiness and brilliant finger-work, as well as a taste of the muscular power (particularly in the brutal final notes) that was to come in Mussorgsky’s Pictures at an Exhibition. Mussorgsky was inspired to write these vignettes by a posthumous exhibition of the work of his friend, the Russian architect and painter Viktor Harmann, who had died suddenly at the age of 39 in 1873. His musical recreation of a stroll through the exhibition – complete with ‘walking music’ between the artworks – has since become a hit, particularly in its orchestration by Ravel. Shevchenko, however, showed just how much colour can be wrung from piano alone in a painterly performance that had the audience captivated. She brought a patrician stateliness to the opening Promenade, before finding a rippling, subterranean force in The Gnome, deftly dispatching roaring attacks and whispered echoes. She captured the lonely, moss-and-stone mystery of The Old Castle, offset by the bright filigree of Tuileries. Likewise, the quirky lightness of The Ballet of the Unhatched Chicks in their Shells provided relief after the heavy and ominous Cattle, before Schmulÿe’s stuttering music – given a shimmering effervescence in Shevchenko’s hands – exploded into the cacophony of The Market at Limoges. Shevchenko’s power was once more on show in the terrifying gait of Baba Yaga’s magical hut on hens’ legs, as was her blistering technique, before the grand fanfare and pealing bells of The Great Gate of Kiev took us to interval. Shostakovich’s Stalin Prize-winning Piano Quintet of 1940 continued the concert’s Russian theme, but it was a profound shift in mood from the pictorial first half. It was beautifully rendered, however, by Shevchenko and the Tinalley String Quartet, the pianist finding in Shostakovich’s often cool, angular writing a gleaming, mesmerising warmth. The quartet brought an earthy edge to the spare string lines – violist Justin Williams’ solo lines were particularly haunting, while Adam Chalabi on first violin found a shining tone to match Shevchenko’s piano. The restrained intensity Tinalley and Shevchenko brought to the Fugue second movement made it a highlight of the concert. The Scherzo had tight, coiled energy while the Intermezzo was almost ecstatic, before the Allegretto, with its lilting opening to percussive bounce of bow on strings, finally brought catharsis with the simple innocence of its ending. The two halves of this recital could have been two entirely different concerts, but what bound them together was the clarity, subtlety and passion of Shevchenko’s playing. From fine food and wine to Bach in the Barns, the festival celebrates the wonders of what Tasmania has to offer. Festival Director Allanah Dopson and harpsichordist Erin Helyard give us a taste of the upcoming festival, now in its second year. Tinalley applies plenty of French polish and Aussie character to boot. An understated announcement that the ANU School of Music is back for the long haul. Tinalley String Quartet, Genevieve Lacey, Piers Lane and the Van Diemen's Band are heading to the new festival in October. ★★★½☆ Melbourne foursome brings us Beethoven’s words and music in a nutshell. The actor and founder of Bell Shakespeare will be the voice of Beethoven in the Tinalley String Quartet’s new programme. ★★★★☆ A damn-near-perfect display of incisive and thoughtful music-making. A fine Sydney day out for Melbourne’s liveliest string quartet.